Finding the best dog food for a Rottweiler is vitally important for their overall health. Rottweilers require a nutrient rich dog food that is packed with meat protein, complex carbohydrates, rich animal fats, essential vitamins and chelated minerals. Additionally, Rottweilers can consume a ton of energy on a daily basis and will require a high caloric intake. By weight, the National Research Council of the National Academies recommends an average daily caloric intake of about 2100 calories for an active adult Rottweiler weighing 90 pounds. However, if your Rottweiler is older or not actively exercising his or hers diet will require fewer calories. 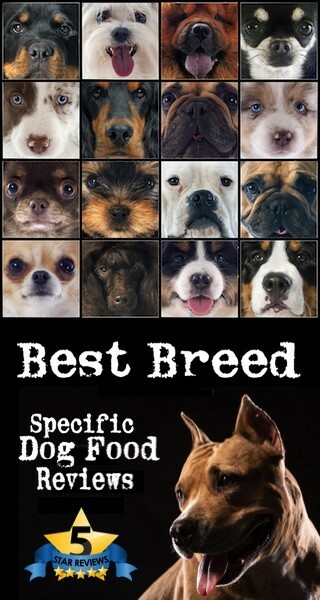 So what’s the best dog food for a Rottweiler? 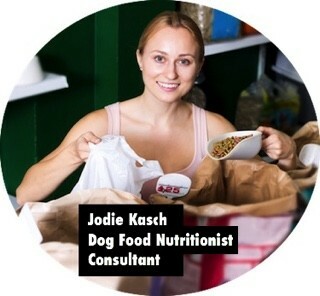 Our team of dog food nutritionists researched and analyzed over 1800 brands of dog food for the very best based off the nutritional needs of a Rottweiler. If you are looking for a premium dry dog food brand for your Rottweiler, check out our 5 top-rated brands below. 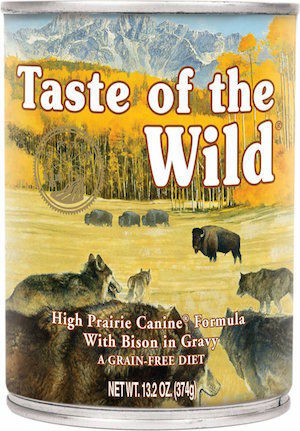 If you are looking for a popular dry dog food brand for your Rottweiler, check out Taste of the Wild High Prairie Dry Dog Food. The formula is 100% grain-free and delivers real buffalo meat as the #1 ingredient. 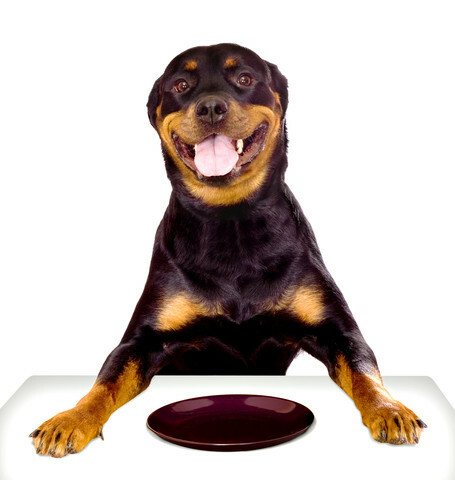 The diet is is completely balanced with a 32.0% min protein and 18.0% min fat which bolds well with a Rottweilers’s diet. Natural rich antioxidants from real fruits, vegetables and dried chicory root for prebiotic support are also included as well. 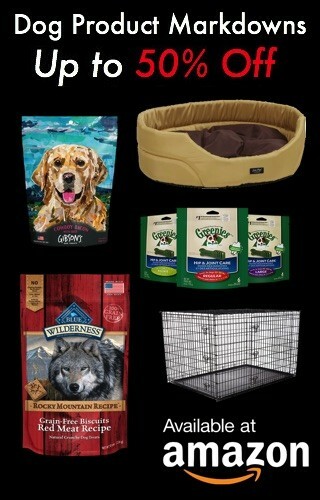 Compared to other-premium dry dog food brands, Taste of the Wild is budget friendly. 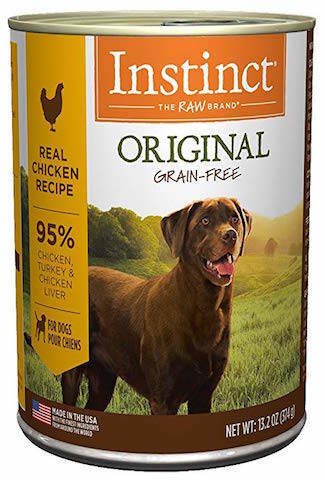 Nature’s Variety Instinct Original Dry Dog Food is packed with a high protein 37.0% min and fat 20.0% min, which makes it a great dog food for active Rottweilers. Additionally, the ingredient list is packed full of protein-rich ingredients including chicken, turkey meal, chicken meal, salmon meal, chicken eggs and menhaden fish meal. In addition to the high levels of proteins and fats, wholesome vegetables and antioxidant rich fruits are also included in the 5 star formula. 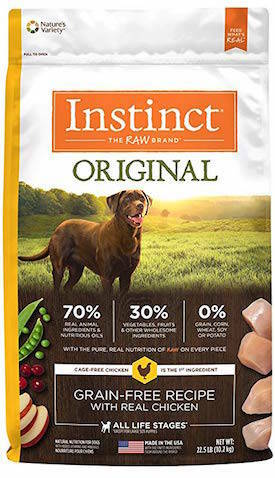 Nature’s Variety Instinct Original is one of the best dry dog food brands for your Rottweiler. 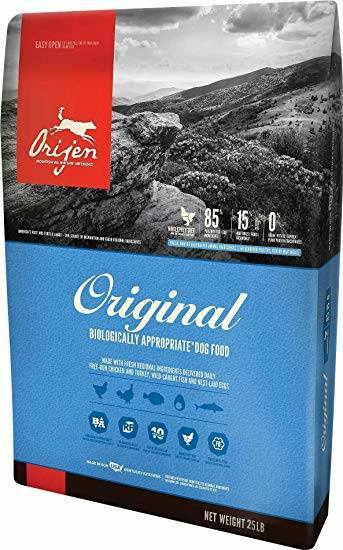 If you are looking to feed your Rottweiler a meat based, protein-rich dog food that mimics a biologically appropriate diet, Orijen Original is the answer.The ingredient list is packed with over 16 animal ingredients and contains 3 times the meat of most conventional dry dog food brands. 2/3 of the meats in this formula is raw or fresh, and never processed. The high quality fresh meats give ORIJEN Original an outstanding 38.0% min protein level, which is perfect for Rottweilers. In addition to a variety of healthy meats, 15% of the formula is balanced with wholesome vegetables and rich antioxidant fruits. Rottweilers love the taste of lean farm-raised turkey. Turkey is not only extremely palatable, it also contains a ton of healthy protein sources. 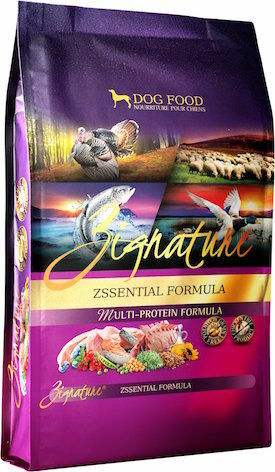 One of the best turkey based dog food brands available for Rottweilers is Zignature Zssential Multi-Protein Dry Dog Food. In addition to lean turkey, salmon, lamb, chickpeas, duck and flaxseed are also added to the 5 star rated dry dog food formula. The guaranteed analysis shows Zssential is complete and balanced. Rottweilers who are highly active will receive the necessary ratios of protein and fats needed to supply their energy needs. The limited ingredient diet is perfect for any life-stage puppy adult or senior Rottweiler. 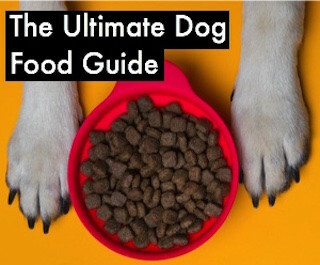 Ingredients: Turkey, Turkey Meal, Salmon, Lamb Meal, Chickpeas, Duck Meal, Pea Flour, Peas, Sunflower Oil (Preserved With Mixed Tocopherols And Citric Acid), Flaxseeds, Dehydrated Alfalfa Meal, Natural Flavors, Dicalcium Phosphate, Potassium Chloride, Salmon Oil, Salt, Dried Kelp, Calcium Carbonate, Choline Chloride, Minerals (Zinc Proteinate, Iron Proteinate, Copper Proteinate, Manganese Proteinate, Cobalt Proteinate), Vitamins (Vitamin A Acetate, Vitamin D3 Supplement, Vitamin E Supplement, Niacin, d-Calcium Pantothenate, Thiamine Mononitrate, Pyridoxine Hydrochloride, Riboflavin Supplement, Folic Acid, Biotin, Vitamin B12 Supplement), Blueberries, Cranberries, Minerals (Zinc Sulfate, Ferrous Sulfate, Zinc Oxide, Copper Sulfate, Sodium Selenite, Manganous Oxide, Calcium Iodate, Cobalt Carbonate). This biologically appropriate, regionally inspired, grain-free dry dog food is a perfect fit for a Rottweiler’s diet. Acana Meadowland Formula contains 70% free-run poultry and fish ingredients and 30% vegetables, fruits and botanicals. Deboned chicken is the #1 ingredient found in the recipe. In addition to deboned chicken, Acana Meadowland also contains a variety of protein-rich ingredients including; deboned turkey, chicken liver, turkey giblets, chicken meal, catfish meal, whole red lentils, rainbow trout, blue catfish, chicken heart and whole pinto beans. 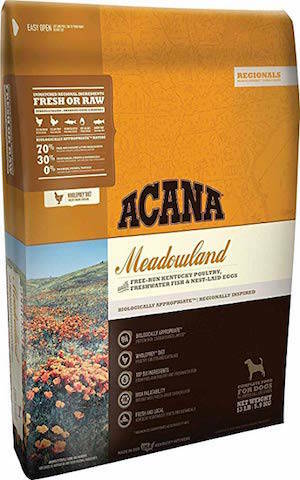 If you are looking for a ultra-premium grain-free dry dog food brand for your Rottweiler, Acana Meadowland is the best. 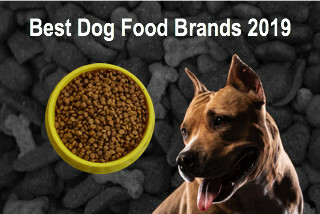 If you are looking for a premium wet dog food brand for your Rottweiler, check out our 5 top-rated brands below. This holistic wet dog food formula can be an excellent mixer to your Rottweilers regular meals. The innovative formula is filled with premium ingredients that will keep your Rottweiler healthy and active. 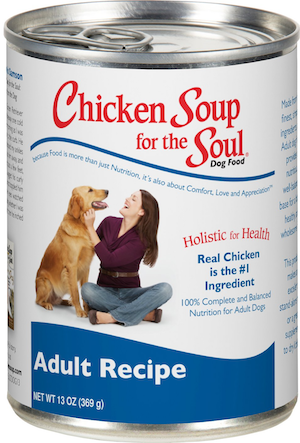 Chicken Soup for the Soul Wet Dog Food includes real chicken, turkey, salmon as well as wholesome fruits and vegetables. The 5 star formula is slow cooked to lock in the essential flavors and nutrients. Chicken Soup for the Soul Wet Dog Food is an excellent dietary choice for a Rottweiler. If your Rottweiler is overweight you may want to consider trying a leaner wet dog food formula. Zignature Trout & Salmon Wet Dog Food is a lean recipe and is loaded with trout and salmon from Northwestern USA. The trout provides a high-quality protein which is full of Omega-3 fatty acids. Additionally, the protein rich formula is full of vitamin B12 as well as niacin, B6, phosphorus and selenium as well. 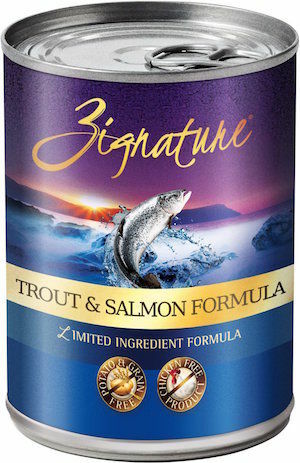 Per ingredient list, Zignature Trout & Salmon only contains 8 limited ingredients. This 5 star wet dog food formula is packed with nutritionally rich proteins, fats, carbohydrates, vitamins and mineral. Nature’s Variety Original Wet Dog Food is made with 95% chicken, turkey and chicken liver; 5% antioxidant-rich fruits and wholesome vegetables as well. The palatable meat rich ingredient list is what Rottweiler’s love to eat. Additionally, Nature’s Variety Original offers a great source of fiber for a healthy digestive system in your Rottweiler. 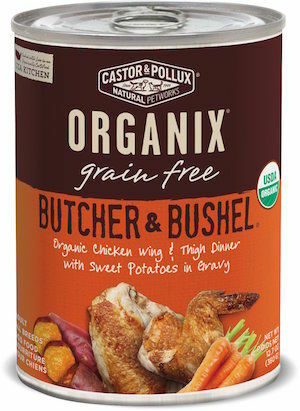 If you are looking to feed your Rottweiler an organic diet, turn to Castor & Pollux Organix Grain-Free Butcher & Bushel Wet Dog Food. Free of pesticides, fertilizers and synthetic chemicals, this 5 star recipe contains 95% USDA Organic Certified ingredients. Organic free-range chicken is the #1 ingredient followed by; organic chicken liver, organic sweet potatoes and organic carrots. The entire recipe is then slowed cooked in organic chicken broth which helps keep nutrients from cooking off. The organic ingredients are extremely flavor and palatable for the pickiest Rottweilers. Ingredients: Organic Chicken, Organic Chicken Broth, Organic Chicken Liver, Organic Sweet Potatoes, Organic Carrots, Organic Pea Protein, Organic Blueberries, Organic Dried Egg Product, Organic Coconut Flour, Organic Flaxseed, Calcium Carbonate, Salt, Sodium Phosphate, Organic Alfalfa Meal, Organic Guar Gum, Choline Chloride, Potassium Chloride, Sodium Alginate, Minerals (Zinc Amino Acid Complex, Iron Amino Acid Complex, Copper Amino Acid Complex, Manganese Amino Acid Complex, Sodium Selenite, Calcium Iodate), Vitamins (Vitamin E Supplement, Vitamin A Supplement, Niacin, Thiamine Mononitrate, d-Calcium Pantothenate, Riboflavin Supplement, Vitamin D3 Supplement, Pyridoxine Hydrochloride, Vitamin B12 Supplement, Folic Acid), Organic Rosemary, Organic Sage, Xanthan Gum. Taste of the Wild High Prairie Wet Dog Food is nutrient rich with beef, lamb liver, egg, bison, potatoes, peas, venison, fish and lamb. Additionally, the grain-free recipe is highly digestible and made with prebiotic fibers and nutrients from blueberries, raspberries and sweet potatoes as well. Per guaranteed analysis, this 5 star wet dog food formula is complete, balanced and perfect for the dietary needs of your active Rottweiler. 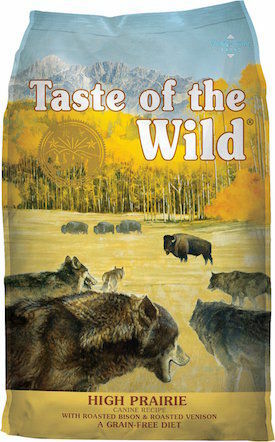 Made in the USA, Taste of Wild High Prairie contains zero grains, fillers, by-products, artificial flavors, colors or preservatives.